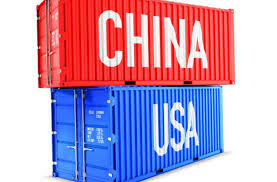 The Trump administration announced new trade tariffs against China in March, claiming that the President is “standing up for American innovation.” Details from a U.S. Trade Representative investigation cited in the official announcement support what many of us in industries that are being pirated have been talking about for years and parallel piracy figures from a report released last year by the Commission on the Theft of American Intellectual Property. While some believe trade tariffs are not the tactical answer, it is clear that the government recognizes that the problem has not gone away with conventional diplomatic approaches. It is unclear at this point whether in the end the U.S. or China will win a trade war, or how greatly the effects of this war on the Chinese economy will curb the country’s aggressive private as well as government sponsored IP theft practices. IP theft involves much more than product trade secrets—China has stolen everything from high-end software used to design our most complex high-tech commercial and defense communications systems to plans for our F-22 and F-35 stealth fighter jets. IP theft is the overriding way in which China has been able to leapfrog the technology gap with the U.S. without investing in the time and money necessary to develop technologies from scratch. A U.S. Department of Defense article from November 2017 warns that by 2030 the Chinese could dominate artificial intelligence and exploit it for military purposes. They have already built a stealth fighter jet, the J-20, using hacked U.S. military blueprints of the F-22. Just a year ago the U.S. Supreme Court refused to hear a Chinese trade secrets case, in essence, upholding the earlier federal court decision that banned a Chinese company from importing its products into the U.S. for 10 years due to misappropriation of trade secrets. License compliance technology can be a powerful tool in these pursuits, as it can determine when and how your IP is being used illegally. Companies that track details such as where, when, and how often the illegal usage is happening can use data as evidence of an infringement in a negotiated settlement or to prevail in a legal action. As data is gathered, data privacy is an important issue to address and SmartFlow Compliance Solutions incorporates unique technology to help users comply with General Data Protection Regulations (GDPR) and other privacy legislation, such that any analytics data can be collected and used in accordance with local laws. How effective the new trade tariffs will be in stemming the flow of pirated U.S. IP to China remains to be seen. The government is clearly beginning to recognize the extent of the problem and is working on its own and with individual companies to come up with solutions. In fact, a keynote speaker at the SmartFlow Anti-Piracy Conference last fall was Kevin T. Carroll, chief counsel to the U.S. Council on Transnational Organized Crime and a member of the Senior Executive Service (SES-III). He spoke about what the government is doing to enforce federal law with respect to crimes such as cybercrime and IP theft. Expert advice encourages companies not to wait for the government to solve these problems. If your IP hasn’t already been compromised, you may become a target in the near future. Take proactive measures to protect your valuable intellectual property and ensure that your loyal paying customers are not undermined in the marketplace by competitors who don’t pay for their software tools. SmartFlow offers a free piracy report to help you understand if you are already a victim. You can also download our free Five Dos and Don’ts for Protecting Your Software From Piracy. Our experts are always happy to provide you with more tips from experts in the field on ways to protect your software IP and answer your questions. Contact us at https://www.smartflowcompliance.com/contact/ with any questions or to learn more.